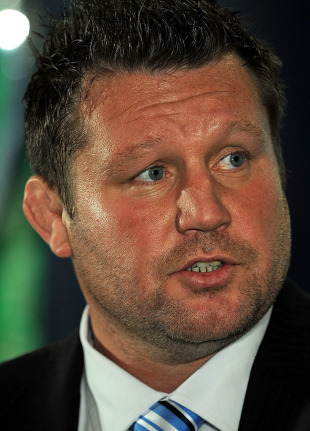 Dai Young starred in both codes during a productive playing career that spanned three decades. A mobile prop, he made his international bow for Wales at the 1987 Rugby World Cup thanks to a quirk of scheduling - having missed the initial cut he was in Australia playing for Northern Suburbs when injury ruled Stuart Evans out of action. In 1989 he played all three Tests as the British & Irish Lions won a series in Australia, but he soon 'went north' in a lucrative deal with rugby league side Leeds. He later represented Salford and Wales in the 13-man code before returning to union in 1996. A year later he made his second Lions tour, to South Africa, and returned to Australia with the tourists in 2001 - his final year of international rugby. Young joined Cardiff Blues as head coach in 2002 - having represented Cardiff and Swansea during his playing days - and led the region to a Heineken Cup semi-final and the Anglo-Welsh Cup title in 2009. The following year he was at the helm as the Blues became the first Welsh region to claim a European title - the Amlin Challenge Cup - by beating Toulon in Marseille. In June 2011 Young stepped down from his role with the Blues in order to take over the vacant director of rugby role at Premiership heavyweights Wasps. His first season at Wasps was dogged by financially uncertainty and a lengthy list of injuries and retirements. but he managed to keep their head above the water and come the 2012-13 campaign Wasps had improved immeasurably with youngsters such as Joe Launchbury and Christian Wade putting in some memorable performances.